Why is Natural Cold Relief the Best Solution for Sore Throats? 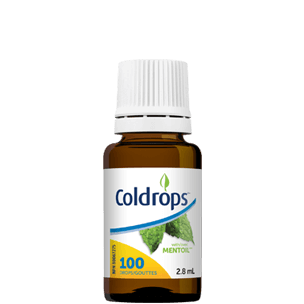 Coldrops® helps relieve stubborn symptoms in just one liquid drop. Feel a breath of fresh air with a rapid cooling sensation. 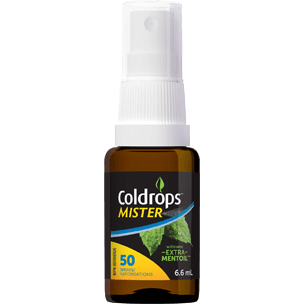 Coldrops® eases nasal congestion and soothes sore throats. 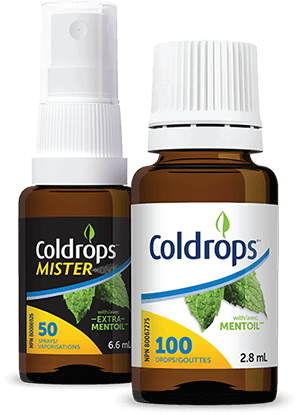 We've dropped the sugar, artificial sweeteners, and the decongestants to make Coldrops® easy and simple. The only ingredient is Mentoil®: a concentrated blend of menthol and fractionated coconut oil without additives, preservatives, or other flavours. Together in Coldrops®, these ingredients help you fight through a cold without unwanted chemicals and sugar free. Menthol is what causes mint to be "minty" and makes your body feel cool. This non-prescription remedy helps relieve coughs, sore throats, and ease nasal congestion. With our unique formula we’ve squeezed as much menthol as we can into one tiny drop to deliver natural relief. The fractionated coconut oil acts as a simple carrier, delivering menthol and coating the mouth and throat. Menthol is naturally found in mint plants such as peppermint and wild mint, also known as Mentha arvensis. Due to its soothing properties, Menthol, once viewed as a ‘herbal treatment’, is now used as a natural but effective cold remedy.